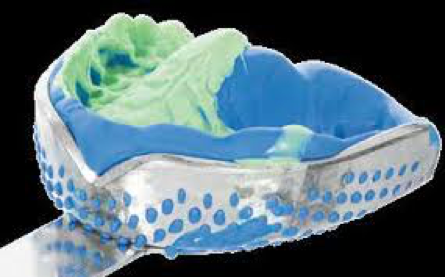 Impression materials are used to capture accurate hard and soft oral tissues and good impressions can help dentists achieve good clinical outcomes, profitability, and patient comfort. There are so many impression materials choices in the market which can make choosing the right impression material to ensure the patient outcomes very challenging. The ideal materials give longer working time for dental professionals and minimise setting time for patients. The working time is measured from the start of mixing and includes time to manipulate and syringe the material around the tooth and into the sulcus, as well as be dispensed into an impression tray. An adequate amount of working time would ensure a stress-free procedure and accurate results. Setting time is the time that the impression material will take to set once placed in the patient’s mouth. It is important to minimise the setting time as patients will have less stress and feel more comfortable, which means the overall satisfaction of their dental experience will be improved. This refers to the material’s affinity for water. High hydrophilicity will give the dental professional confidence that the material can capture precise and accurate details even in a wet environment, which will minimise the number of adjustments needed when placing the final restoration. Also, using an impression material with high hydrophilicity can help dental professionals relieve stress as they don’t need to constantly worry about the lack of moisture control which can lead to inaccurate impressions being taken. When you remove the impression from the patient’s mouth, the material will be stretched and compressed. An ideal impression material should have the tear strength and elasticity that after stretching, the impression can return to its original shape without tears or distortions. This refers to the rate of flow of an unset impression material and is a measure of the ability of the material to accurately capture intraoral detail. There are 4 different viscosities in impression materials: low (e.g. syringe or wash materials), medium, high (e.g. tray or heavy body), and very high (e.g. putty). It is vital to understand viscosity because you will be able to choose the right impression materials based on the particular restoration case and how much detail is necessary. Taste should be considered when choosing an impression material as this will affect patient comfort. Some impression materials have a very unpleasant taste which patients typically don’t like. However, there are improvements about the smell or taste of these materials, which gives patients a better experience. Thixotropic materials become more fluid as they are agitated—like when they are applied to a crown preparation—and thicken when they are in place. This means that when the impression material is placed, it flows well under pressure, but then once you stop pushing it, it holds its shape.